Home » Uni Updates » how to grow bonsai at home? how to grow bonsai at home? First of all, have you ever heard the word “Bonsai”?. Bonsai are the trees that are grown in the small containers trimmed and maintained so that they look elegant and remain small. In other words, the bonsai culture is brought to develop a tiny tree that has all the elements of a large tree that is growing in the outdoor. These are the miniature masterpieces of breathtaking natural scenery that is grown in a small pot. And these are much more different and elegant when compared to the normal potted plants. Actually, bonsai is not any specific type of tree and literally it can be said as “tree in a pot”. 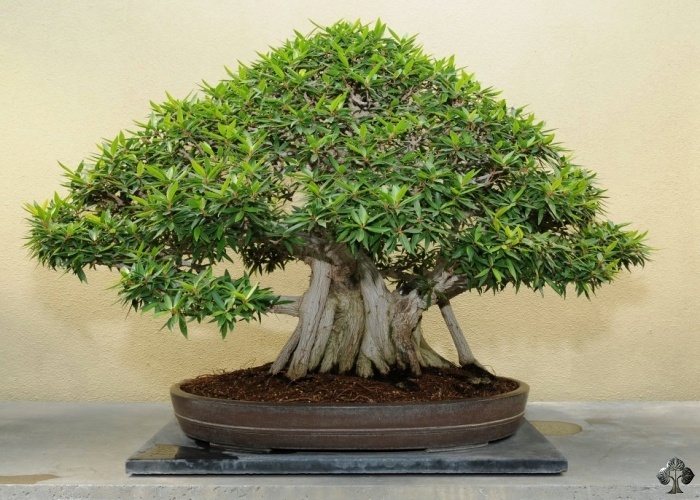 About hundred types of trees can be grown and trained to be a bonsai. These Bonsai requires special care and attention such as using very little soil and frequent watering. Why do we go for Bonsai? Growing bonsai trees, is really a fascinating hobby and thus it has become an established past time throughout the world as more and more people have understood that it is really interesting. It is a miniature gift that can be either grown for our self or can be gifted to others. It is a worthy past time that increases your concentration, reduces short-temper, and makes you more creative since it has to be created as the exact miniature of the real trees including trunk line, fruits, canopy, flower lines, etc. The More mature a bonsai tree, the more value it gains. These bonsai trees have a large demand in the market. Thus, utilizing this you can either buy and sell bonsai on a small scale basis or even you can create your own bonsais and start a large scale business. Now, let us see how to grow a bonsai tree. Just follow the upcoming steps to create an attractive and beautiful bonsai. Initially, it is better to buy a nursery stock of bonsai. Buy well rooted and well- branched plant so that it can withstand severe pruning. And then, follow the steps below to grow a bonsai effectively. Trim your bonsai by cutting out the dead or overgrown branches. Remove all the buds except on the outer side of the trunk so that it grows upward and outward. While pruning, keep the branches heading toward an open space instead of growing against each other. Nipping or pinching back is done to control the overall size of the plant. This is done to shape and develop the trunk. And finally wiring is done to give unique shapes to each bonsai plants. If you want to know more about these steps you can refer the given link Bonsai 101 Essential Tips. And finally they are transferred to a attractive container pots that come in different shapes like round, oval, square, etc. Just as mentioned above, about hundred types of trees can be turned into a bonsai. In this, the interesting thing is, even the fruit trees like apple, cherry, citrus can also be turned to a attractive bonsai miniature tree. Isn’t it really pretty to see that? Even though, the origin of bonsai is often attributed to Japan, many experts agree that it is a derivation from china since many monks, scholars from china practiced it long before 600 A.D. In 1976, the people of Japan had presented America with 53 priceless Bonsai trees in the honour of USA Bicentennial celebration. Chinese Bonsai differs a lot when compared to Japanese Bonsai. Japanese try to reflect the look of the tree as it is while the Chinese growers allow the plant to grow in a more free form shape and then alter the trees with a bit of pruning. Thus, Bonsai trees are one of the most innovative gifts in the market today. These could be a great presentation for the friends who have meticulous ideas to see its growing process through the end. Nice post i am enjoyed your post and way to write. Glad to find this post here. Fell free visit my blog site and share your opinions. I visited your blog. It’s nice. Glad you like this post. Keep on reading my blog. Thanks for coming here. Great post , Thanks for sharing this post with us . Thanks for your appreciation. Keep on reading my blog. Hope to see u again. Just visit https://chhajedgarden.com/ to buy bonsai plants online in india. They are having lot of varieties in bonsai. The available payment methods are in both credit & debit card. Hi Nirmal, I never knew that Bonsai can be of a interesting subject. I think I should try one now. Thanks for sharing this. Thanks for your comment. yes i agree with you, bonsai is an interesting one and it also a stress buster. Your Post Was Very Helpful, Vey Intersting. Thanks for this post sharing with us.